Just like how every individual with a registered PAN card ID or an Income Tax ID has been allotted a specific number with regards to their registration, every individual/business entity registered on the GST portal is assigned a specific number once their registration is complete. This is known as the GST identification number or the GSTIN. A GSTIN helps a business in many ways. It also helps the supplier while invoicing a particular individual/business entity to know if they are registered on the portal and what their line of business is to cross check the information provided by the individual/business entity. With the help of GSTIN, the number of frauds and malpractices has reduced because now it is not easy to fake a GST number as all the information is available on the GST portal. What does the GSTIN combine of? The GSTIN is a 15 digit identification number which is a combination of numbers and alphabets, very much like our PAN number. The number is allotted to each business entity based on their state, PAN card details, and type of business. Full disclosure of the business needs to be done to obtain the GSTIN number and for registration purposes. One can obtain all information about a business entity through the GSTIN and thus can reduce fraud or malpractices by doing a background check on the business through the GSTIN before entering into business together. The first two digits refer to which state the business entity belongs to or is registered at. Each state has its own unique code to make identification easier. The following ten digits represent the PAN number of the taxpayer. The thirteenth digit is allotted based on the number of registration within a state. The fourteenth digit is Z by default. And the last and the fifteenth digit can either be a number or an alphabet, used as a check code. When you go on to the GST portal for the registration of your business entity, a part of the process consists of the GST Number creation. 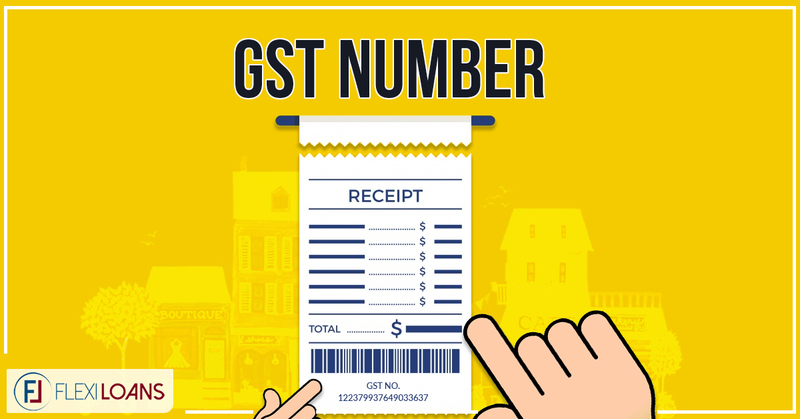 While your registration process is going on and before your form has been approved, a temporary GST number is provided to you in case you want to carry out any business transactions or invoicing that contains the GST Number. Once the registration has been approved by the officials, a permanent GST Number is provided to every individual/business entity which is then their official GST Number and is to be used for all future transactions. GST registration is done free of charge and no additional costs or any overheads are charged. For an individual/business entity that is registered in India and is a citizen of India and the place of supply of goods is also from India, the validity of their GSTIN is for a lifetime. In essence, once registered on the GST portal, no changes need to be made and the same GST number can be used for the life of their business. The GST number will only be canceled if specifically asked by the individual/business entity. For non-resident taxpayers or for NRIs conducting business from a place of supply outside the jurisdiction of India, the GST number has an expiration date. The date of expiration for their GST number is mentioned on the GST Certificate that is issued to them. Non – resident taxpayers should ensure they know the validity of their GST number and opt for a new registration once the date is nearing. Conducting business with an unregistered number or an expired number can have some serious repercussions. The GST Number registration is a process of the GST registration itself, and the documents required for this process are the documents required to complete the registration too. Click on search – Once this has been done all the details associated with the GST number will be mentioned. It is essential to check all GST numbers before you get into a business agreement with an individual/business entity due to the increase in frauds and malpractices. Ensure you check and verify all the details provided and check if they match with the details on the GST portal. As an individual/business entity, ensure you always provide the correct GST number on all your legal documents and websites so as to avoid any faulty transactions.